Drawing on over thirty years of experience in community development practice, Eric Shragge offers a unique historical perspective on activism, linking various forms of local organizing to the broader goal of fundamental social change. This new edition places contemporary community organizing in a post-9/11 context and includes a discussion of national and international organizing efforts-in the Middle East, in the Occupy movement, in European resistance to austerity measures, and in recent student protests in Quebec. A new chapter-length case study covering Shragge's long-term involvement with the Immigrant Workers Centre in Montreal offers one of the few English-language discussions of community organizing in Quebec. 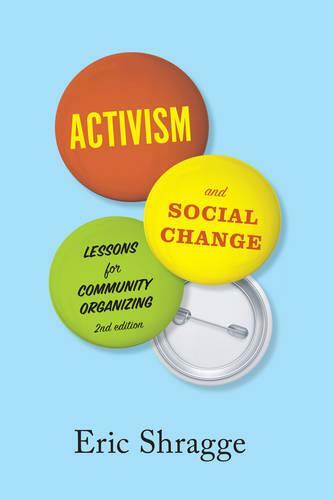 Activism and Social Change is an excellent core or supplementary text in courses on social movements, community organizing, or community development.